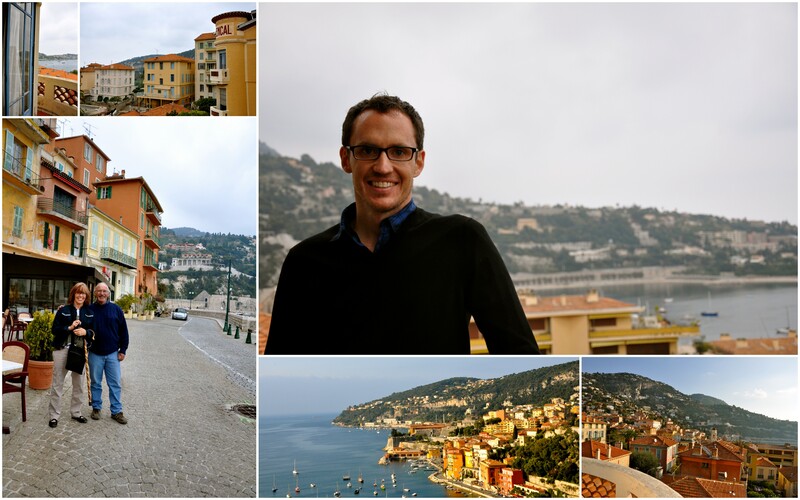 We had heard from numerous people that Villefranche was a great place to stay on the Cote d’Azur. After spending one night, we’d wholeheartedly agree. Villefranche was quaint and beautiful. The colored buildings were gorgeous at both sunset and sunrise. The small port had cozy restaurants lining the water and provided a nice way to relax and reflect on our trip. We stayed at Hotel Provençal which provided stunning views. We have a dear friend that recommends The Welcome Hotel as well if you are considering a trip. After checking in and enjoying our balconies for a bit, we drove down to the port. We ended up checking out all the menus along the waterfront and selected Les Corsaires. Mama Mia announced after we were seated that this night would be their treat in honor of Gabe’s birthday. It was a perfect way to celebrate!! Mama Mia had prawns, The Gladiator and Gabe had steaks (Gabe was still on the steak train from our experience in Arles) and I opted for a veal chop. The place was family owned and dog friendly. 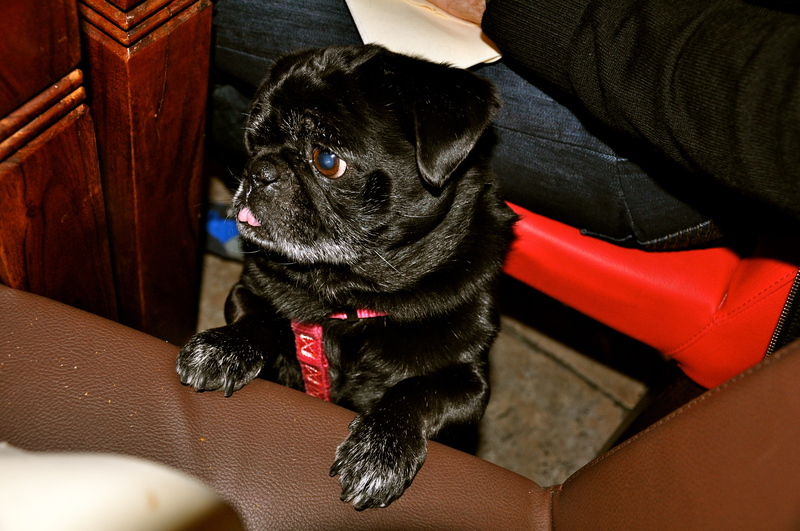 In fact, this little guy kept checking on how my veal chop was. Villefranche, we’ll be back some day! This entry was posted in Beaches, Cute Towns, Lakes & Water, Spring, Travel: Europe, Visits & Trips with Visitors. Bookmark the permalink.